It’s been a tough year to round down the number of books on the desk to just a few highlights for summer reading. 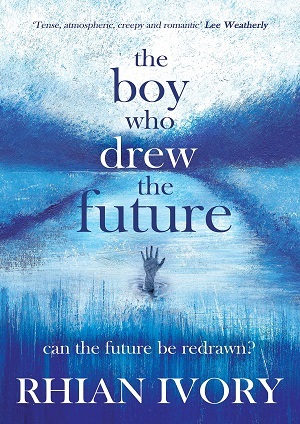 And I have to admit that many of my choices are continuations of superb new series, because which child doesn’t love a good meaty series, especially when the writing is as stunning as in those picked below? Poppy and the Blooms by Fiona Woodcock sets the tone for summer with its soft colour palette contrasting with its feisty zesty skateboarding wildflower characters. 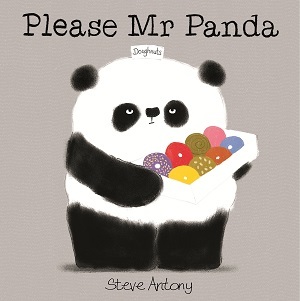 With an environmental message, teamwork, and clever inventive illustrations of urban life, this is an expressive picture book. 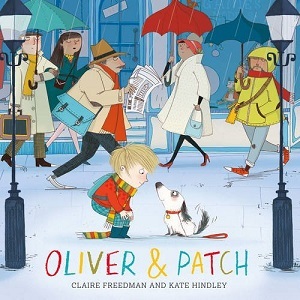 Emily Gravett is a firm favourite picture book author, and her latest, Old Hat, is full of delightful images. A dog tries desperately to keep up with hat fashions, phenomenally fails but ends up setting an entirely new trend in the process. Surprising, funny, and rather attractive (look out for the traffic cone hat). More animals in The Nut Stayed Shut by Mike Henson. A cracking read in almost comic book style that aims to show patience pays off. The squirrel can’t open his nut, even with an elephant or a digger. The rhyming text comically explains his dilemma, and a rather animated owl at first documents and then supports his friend. 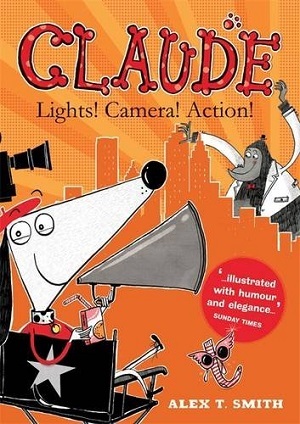 Funny, cartoon-like, and will teach the very littlest about slapstick. For those with a dryer wit and sardonic humour, try I Dare You by Reece Wykes. Two gorillas dare each other in an eating challenge that gets ever more ridiculous. A perfect game of one-upmanship soon degenerates into farce. 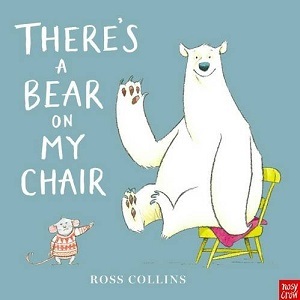 You have to have as strong a stomach as the gorillas to read this to a sensitive toddler – beware, it doesn’t end well for one of the gorillas. Great fun lies in the illustrations, particularly for adults! 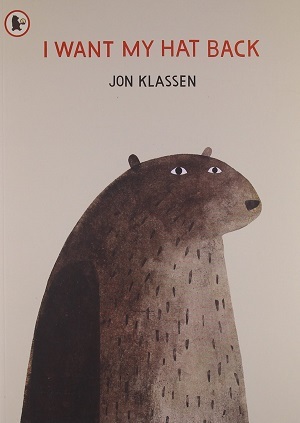 For a human who wants to be an animal, you can’t better I am Actually a Penguin by Sean Taylor, illustrated by Kasia Matyjaszek. Although the title sounds as if it’s Lola speaking from Charlie and Lola, and replicates the more restrictive older brother, this little girl is even more stubborn than Lola. Her family try to implore her to remove her costume, to not unroll toilet paper across the sofa as snow, to not come down the stairs head first in penguin slide mode, but all to no avail. 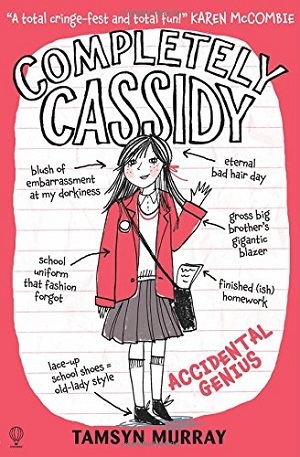 Then finally, she realises she cannot go to school dressed as a penguin – the twist in the ending is equally endearing. 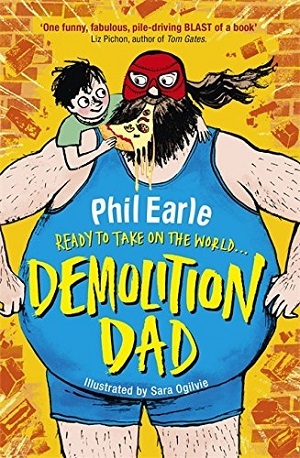 A great book for anyone who’s ever schlepped around a stubborn fancy-dress clad toddler, or anyone with a warm sense of humour. More siblings in My Sister is Bigger Than Me by Kate Maryon and Lisa Stubbs. It strikes the perfect dichotomy between wanting a big sister to play and yet not wanting them to totally dominate and rule the games. It’s all love and comfort in the end of course. Quite long, but the rhyme zips you through. Those moving onto chapter books will adore the latest offerings here. Experienced author Chris Higgins teams up with illustrator Emily MacKenzie with a new series about a girl called Bella who has just moved house, Trouble Next Door. Bella is a little wobbly until she meets next-door-neighbour Magda. The only problem is that Magda tends to push fun into trouble. 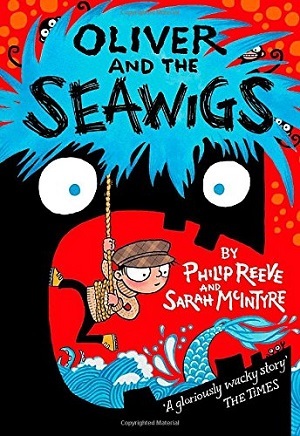 Beautifully illustrated and packed full with the kind of winsome anecdotes and age appropriate worries, all resolved with Higgin’s storytelling aplomb. 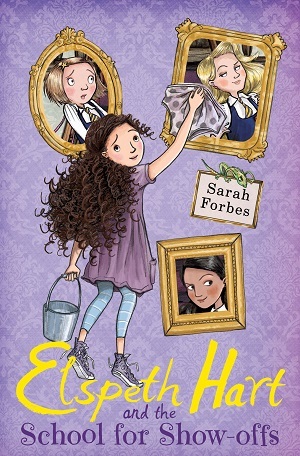 Another fun author is Emma Barnes with her new series Chloe’s Club about three girls, Chloe, Eliza and Aisha, the second of which is just published and called Chloe’s Secret Fairy Godmother Club, illustrated by Mike Love. Inspired by The Secret Seven, clubs are fun for passwords, badges and secret names among other things. The Godmother club is inspired by Eliza’s news that she’s about to become a big sister. 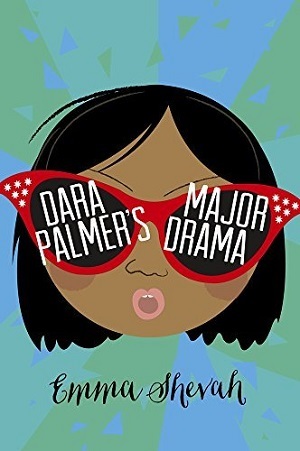 Harriet Muncaster continues to churn out Isadora Moon titles, the latest being Isadora Moon Gets in Trouble. Good thing too, the kids in the library can’t get enough of these, and they’re great for re-reading. Lastly, one of my favourite series continues with new title Super Dog. 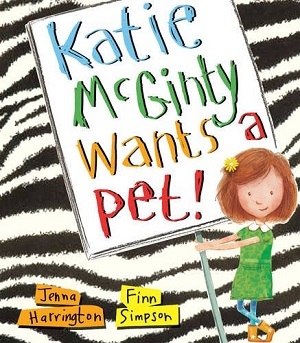 Wigglesbottom Primary: Super Dog by Pamela Butchart and Becka Moor is a perfectly pitched school story (three in one book), that pleases every child who picks it up. Funny yes, and filled with school dinners, friendships and speculation. One of the books of the year for this age group is Letters from the Lighthouse by Emma Carroll. All Carroll’s novels exude a flowing prose, and all tell a great historical story with the lightest of touches. This is no exception. Set in 1941, Olive is evacuated to the coast after a London air raid in which her sister goes missing. 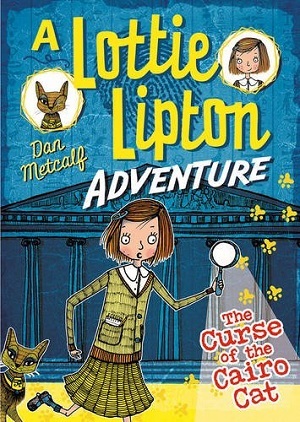 But there are mysteries afoot on the Devonshire coast where Olive and her brother stay with the lighthouse keeper. What is his connection to her missing sister? And why is he stockpiling food? With a wonderful use of chapter headings – Keep Calm and Carry On, Careless Talk Costs Lives and so on, the history comes to life as the mystery unfolds. 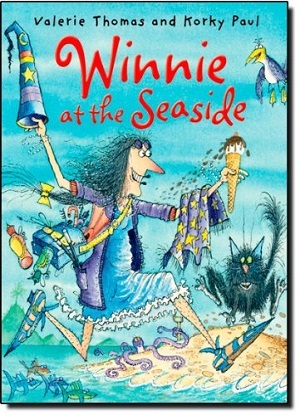 So whether it’s a beach read or for back to school, this tale is set to be an enduring Second World War children’s favourite. 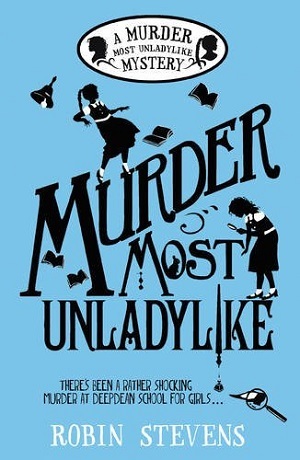 Other gems to look out for are Mold and the Poison Plot by Lorraine Gregory, a debut novel told in Mold’s idiosyncratic dialect in a fantasy world about an unlikely hero. Hilariously funny with smells galore. 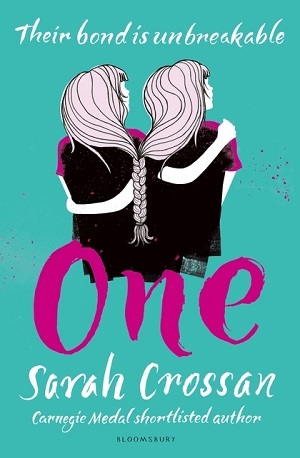 Gregory has captured the essence of children’s literature – bravery, overcoming bullies, seeing past difference, looking out for the world around us and more. Don’t miss. 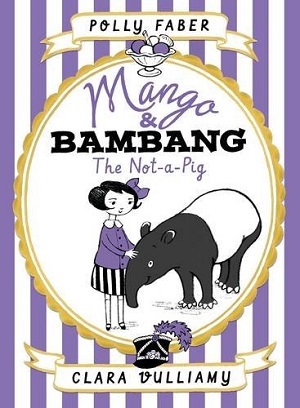 More hilarity ensues in The Big Fat Totally Bonkers Diary of Pig by Emer Stamp. Going from strength to strength, this fourth in the series continues with Pig’s tales of his adventures, written diary format – with each day being named after how it went, for example, Badfartsyday and Trauma-Morn. It’s inevitable that any book set on a farm and narrated from the point of view of the animals will have connotations with Animal Farm, and even this light-hearted text, purposely written with incorrect grammar, and full of high jinks, farts and slapstick, draws some comparison. 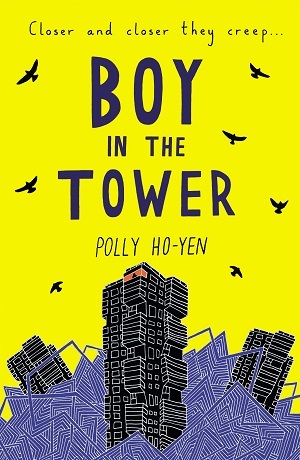 Stamp has great fun with Pig’s misunderstanding of idioms, his appalling grammar, and general pigginess, as well as playing up the stereotypes of soldier and warfare, as the plot pivots on a new Battle of the Cow Shed (sorry, Orwell). Kids adore this series. They recognise that although it seems inherently silly on the surface, it’s actually written with acuity and a great sense of structure. Chunkier and more literary are Beetle Queen by MG Leonard and The Night Spinner by Abi Elphinstone. I reviewed Beetle Boy here, and it was included in many ‘best of’ lists for 2016. Earlier this year, the sequel, Beetle Queen was published. The focus this time shifts to the villain of the piece, Lucretia Cutter – just as duplicitous and delightfully dangerous as before – she induces the kind of fear as when a tarantula crawls across your skin. The story is littered with a plethora of entomological vocabulary, but there is a glossary at the back to help with the scientific language. 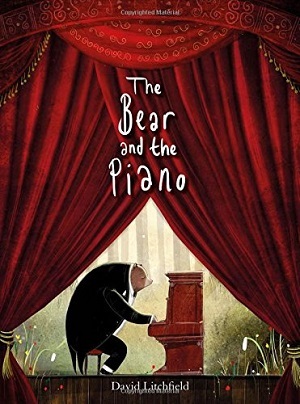 Again, Leonard captures in a nutshell the beauty of the children’s novel – overcoming difficulties and fears, a clever comic undertone and a plot that sends you scurrying towards the end. I particularly love protagonist Darkus and his relationship with his father. 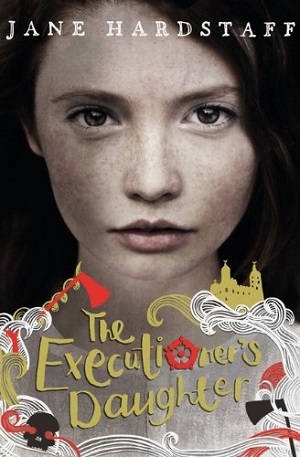 Rich villains and brave protagonists abound in Abi Elphinstone’s finale to her trilogy that started with The Dreamsnatcher. The Night Spinner is perhaps the best of the three, in which Moll must find the last Amulet in order to defeat the Shadowmasks. 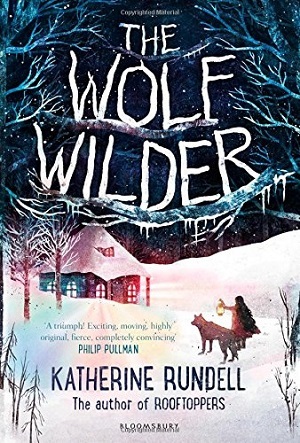 In the same vein as the other books, this is an adventure story through and through, as Moll and her allies traverse dangerous and thrilling landscapes, from wildernesses to mountain peaks, always at risk from shadowy villains, with Moll in grand pursuit of saving her friends as well as herself. But this last in the series is definitely the most compelling. The characters have matured, so that there is more thoughtfulness, more depth to both their actions and their motivations, and there is, if anything, an increased tenderness between the humans and their animal friends – drawn of course from Pullman’s daemons – but in this case Moll’s wildcat, and Siddy’s ferret. 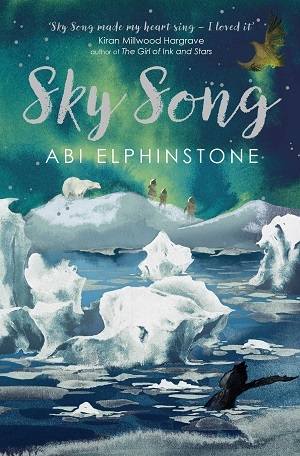 What is magical about this series is the deep darkness that Elphinstone is able to depict without it being too daunting for a child reader. If anything, it simply adds to the impression of the tumultuous task set for her protagonist – and matches the wide expanse of landscape….This is indeed a story for our times, a tale of perseverance and grit. Lastly, for those seeking a graphic novel, it doesn’t get much more topnotch than Roller Girl by Victoria Jamieson. 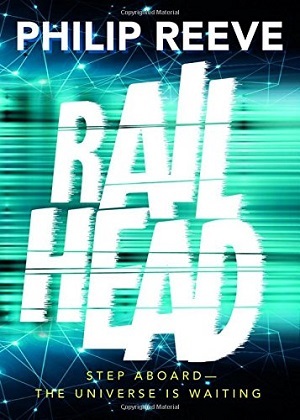 An import from the States, Jamieson brings her love of roller derby to a school transition story as she tells Astrid’s coming-of-age over one summer before Junior High. Lapped up by my testers, our heroine here is authentically drawn with much pathos, and readers warm to the sport as much as to the girl. A rip-rolling read. For those who like a little less story in their books, there is also a good crop of non-fiction to keep readers busy. The Big Bird Spot by Matt Sewell reads like a Where’s Wally nature guide. 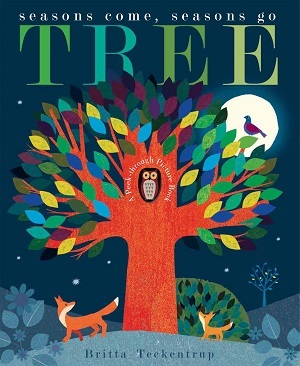 The book is intended to inspire children to birdwatch in the great outdoors, but also serves as a useful activity in searching for the camouflaged bird on the page. It traverses the world with its scenes, and gives information on species and habitats. Vibrant and luminous. 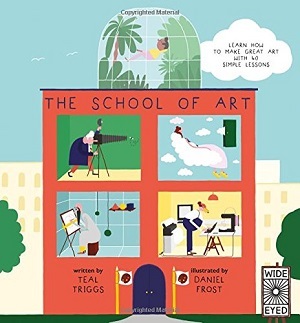 Another round the world adventure is In Focus: Cities by Libby Walden, a beautiful production that features ten illustrators each showcasing, in their own eclectic way, ten famous cities from around the world including Tokyo, Rome and Istanbul. Giant flaps on each spread reveal further cultural, social and historical identities. Look for the Paris escargot, Moscow’s border guard and his dog, and Charlie in Sydney! A great collaborative idea, which will make you long for even longer vacations. And lastly, for those who have children bored at the thought of dragging round museums, buy them a copy of The British Museum’s Maurice the Museum Mouse’s Amazing Ancient Facts and Jokes by Tracey Turner, illustrated by Mark Beech. They won’t be bored for long regaling you with such masterpieces as “Which ancient civilisation was the most untidy? Mess-opotamia.” Groan away. That’s it for the summer. 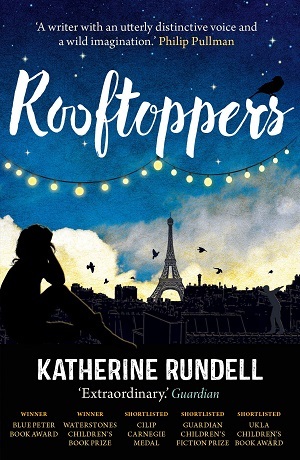 MinervaReads will return in September with back to school books and a review of the new fabulous book by Katherine Rundell. Watch this space. 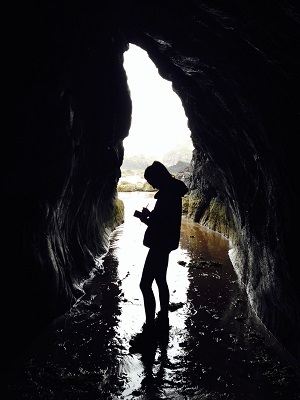 Picking up the narrative from the end of The Dreamsnatcher (although it could equally be read as a stand-alone), The Shadow Keeper begins with another wildly atmospheric setting – a secret cave by the sea. Hiding from the evil Shadowmasks, far from the forest they love, Moll and her friends are seeking the amulet, keeper of Moll’s mother’s soul, in an attempt to fight the dark magic. 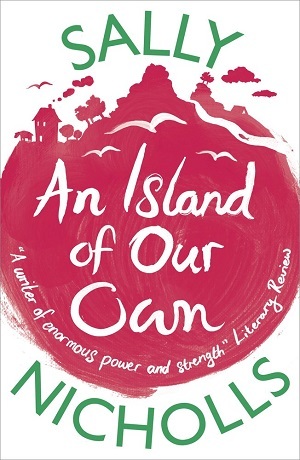 It’s an extremely visual text, with dense prose and vocabulary, and an intense quality that puts Abi in the realms of classic writing rather than the pared and stripped back prose that contemporary writers tend to favour. 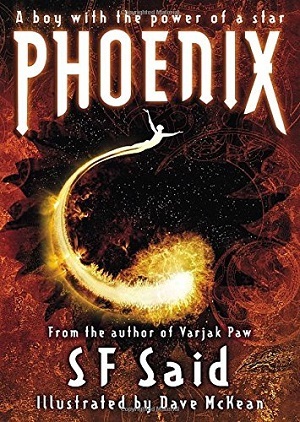 Threads of bravery and determination run through the novel, both in the writing, which never holds back from dark disturbing imagery (owls with wingspans of “black blades…each edge serrated and sharp”) but also in the characters of the children who hold friendship and loyalty above all else – showing bravery in the face of extreme fear and danger. But it’s the darkness that pulls. From owls with blades grinding, to a girl with her tongue cut out, to walking with bare feet on shards of glass, the danger is everywhere, as the dark magic rises. 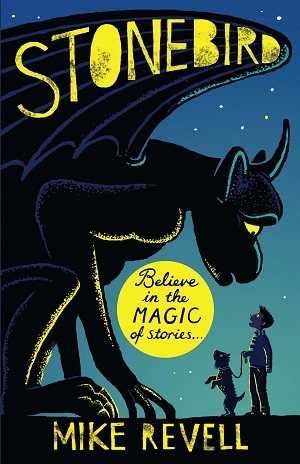 In fact, the dominant theme of dark magic versus the children and their lighter magic is reminiscent of such ancient fights as The Dark is Rising by Susan Cooper – ordinary children fighting an ancient fantastical evil with historical curses and messages from long ago. 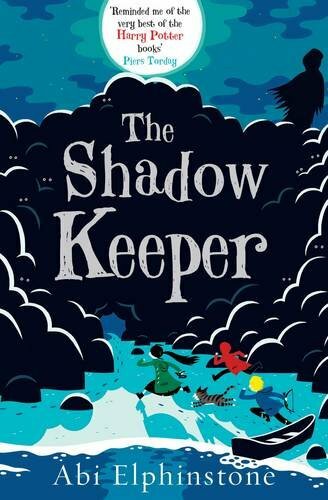 Of course, the children in The Shadow Keeper aren’t quite as grounded in reality as Will in The Dark is Rising with his idyllic Christmas in the family home. 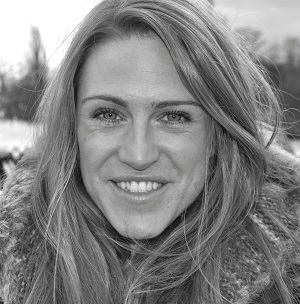 Moll and her gypsies reside in a hidden cave, and rely on nature to help them hide, and heal and eat. 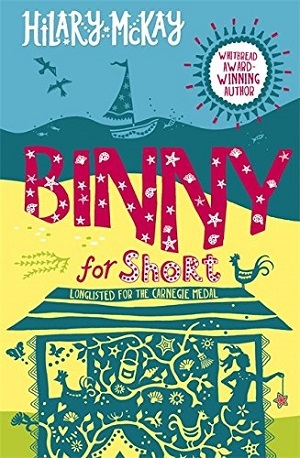 The premise of the children’s gypsy background gives them a terrific freedom to adventure, but Elphinstone cleverly weaves in the vocabulary of a childhood set entirely in nature, from a daemon like wildcat companion in Gryff, to a pet crab, bowls of mussels for dinner, mealtimes round the fire, and healing flowers and herbs. 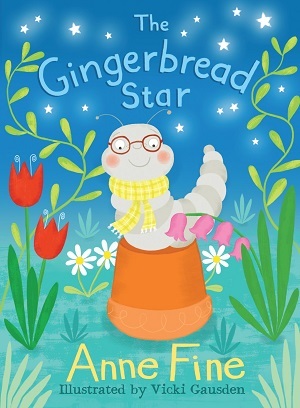 The characters have developed from book one, all three children protagonists are complex and feel very real, despite the simple vocabulary used to depict their emotions. They continue to develop throughout book two, so that the reader not only feels empathy with them, but really feels that they know them. It’s exactly the sort of story you can live within – complete escapism – about as far removed from urban London as you can get! It’s also riddled with themes, in particular ‘seen and unseen’, ‘said and unsaid’, as well as bearing echoes and motifs from The Wild Swans so that you feel the magic being woven around you as you read. 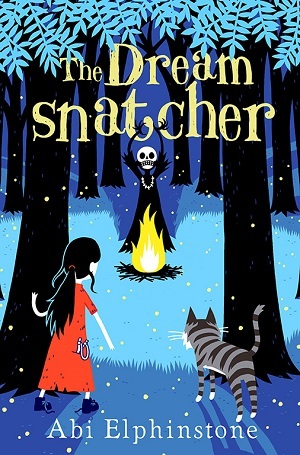 Abi Elphinstone wrote one of the most exciting children’s books last year, The Dreamsnatcher, which I wrote about here. This week the sequel, The Shadow Keeper, is published. And it’s even better (if that were possible). Abi has very kindly contributed this guest post. 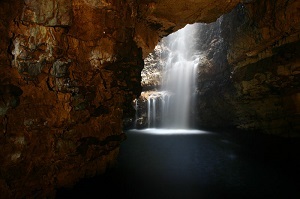 Smoo Cave. It’s located at the eastern edge of a village called Durness, on Scotland’s most northerly coastline. After I’d waded past the KEEP OUT sign I found a hidden waterfall and I wrote the very opening of the book, about the Shadowmasks meeting in a dark cave, here. Abismo de Anhumas. Another cave. This time in the Brazilan jungle outside Bonito. 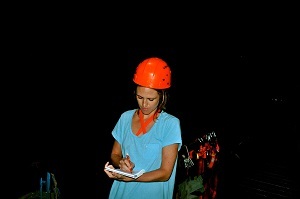 It was like a journey to Middle Earth – a 72 metre abseil into a cave home to incredible stalactite formations – and I wrote about the very big (and very magical) cave at the end of The Shadow Keeper while I was here – with a head torch. Iguazu Falls in Argentina. I took my writing pad to the top of the raging waterfalls and wrote while swifts dived into the spray. 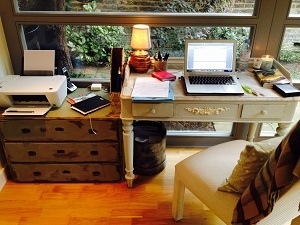 My writing shed in the garden. I wrote much of the book by candlelight here, surrounded by books and souvenirs I’ve picked up from my travels (shaman daggers and buzzard-fletched arrows…). The 316 bus in London. Not quite so magical but because I do a lot of school events I end up writing most of my books on buses, trains and planes. Clavell Tower, Dorset. I wrote with the sea spread out below the cliffs and the cries of the gulls hanging in the wind. Bliss. St Cyrus Beach, Scotland. I grew up building sandcastles and exploring rock pools on this beach and I wrote many of the Little Hollows scenes here. Engelsholm, a remote island off the Norwegian coast, not far from Kristiansand. I learnt to forage for mussels and oysters here and I wrote for days on end on the jetty looking out over the fjords. On the back of a motorbike in Burma. I wrote one word ‘the’ (not a classic) then realised it was too bumpy to continue. On the BA flight home to my Dad’s in Scotland. There is perhaps nowhere as magical to write as up above the clouds.